The artist (graduate from Fine Arts Academy in Poznan, Poland) is known for her strong pictorial composition and the virtuosity of her oil technique. 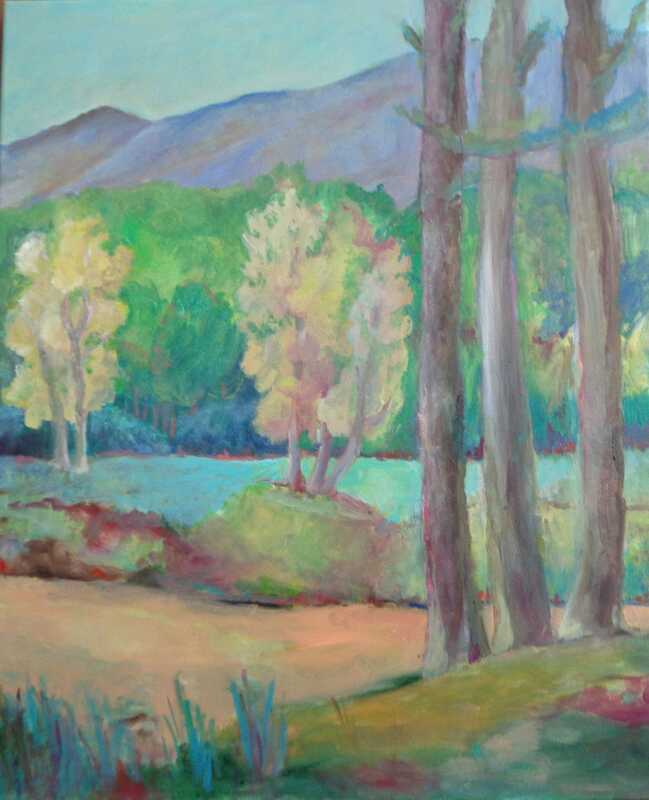 Fascinated by the beauty of the landscape, she works from nature (“en plein air”) to reflect the magic of light and colour, perpetuating the impressionist tradition. 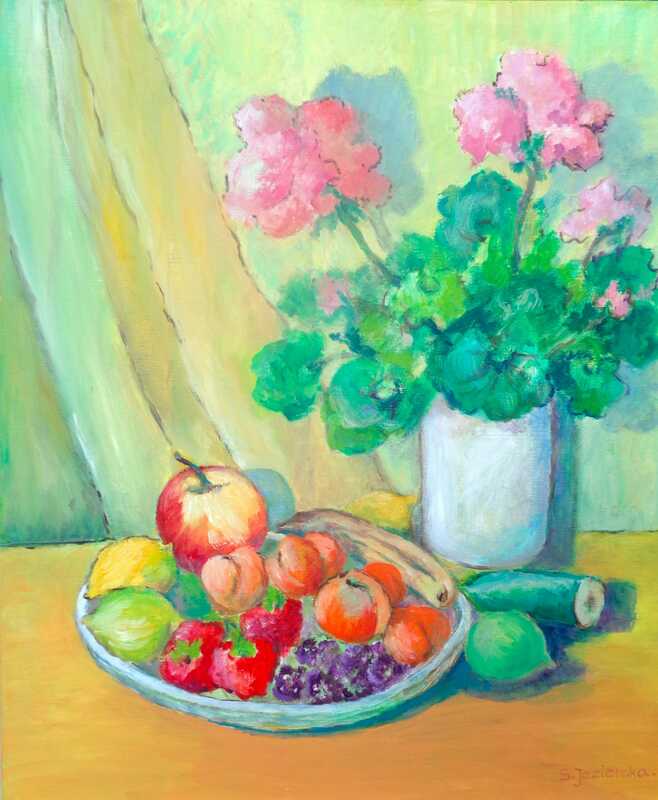 Some of her paintings have a touch of surrealism, and some, like the still lives or flowers, are more realistic. 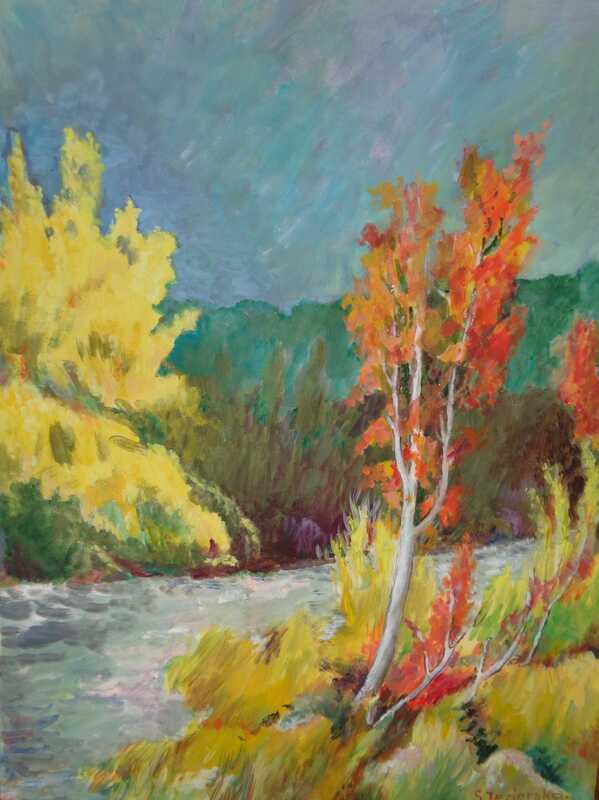 Excellent colourist, in each artwork, the artist shares with us her intense joy of life and the beauty of nature.